Sync Satellite Based Gps Watch Speed Distance & Running Men Activity Tracker. 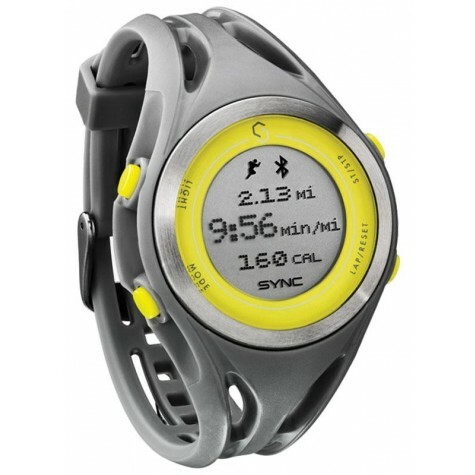 Sync GPS Watch - Womens. Wirelessly transmits GPS data from your smart phone using Bluetooth Smart sync. Sophisticated GPS tracking, satellite-based speed and distance and a running tab on your calorie burn are all at a quick glance when you are in motion. This innovative concept enables you to get ample amounts of data on your wrist, but in a watch size far smaller than traditional GPS units. Three axis accelerometer for digital speed and distance accuracy when not paired with smart phone. MapMyRun integrated. Compatible with iPhone 4S or later. 1 year+ battery life.